In part 1 of this 3-part blog post, I shared a really big dream of mine to thru-hike the PCT. This really is a long-term goal of 8-10 years. In the meantime, the goal is to get as much experience as possible in an effort to; perfect my packing skills, test gear, experience different terrain, weather, etc. 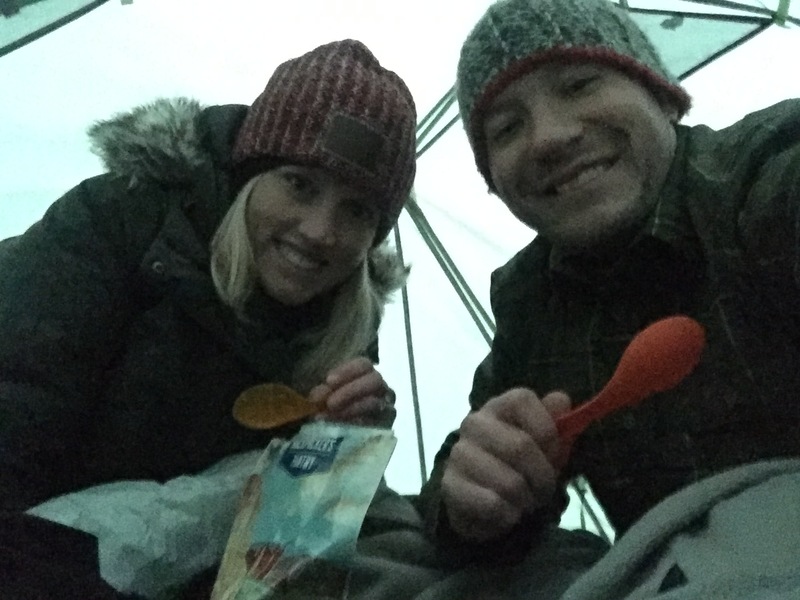 My husband and I have always loved hiking, camping and being outdoors, but thru-hiking is a whole new game, which means new gear. Now, I am no expert in backpacking, but I am a bit of a “gear junkie” in all of my outdoor adventuring. Being an endurance athlete, I understand the importance of good gear for all weather and terrain. The alternative is not so fun, trust me. If you are like me, interested in getting started in backpacking/thru-hiking, but are intimidated by all of the gear, my advice is to start simple, read reviews, talk to the experts, and reach out to people who have done it. Start with the essentials and then go from there. Below is a list of some of the important items for survival; food, water, shelter, and protection (i.e. clothing, shoes). Please note, there are so many “other” gear items that you can add if you have room and can handle the weight, but this list is just a start. I probably don’t need to state the obvious, but if you want to backpack, it would probably be a good idea to invest in a good backpack. I can’t express enough how important it is to talk to the experts, try many different brands, do the research and test them out. Just like shoes, you have to find the best fit for YOU. My husband decided that the Osprey Aether AG 70L fit him best and I decided on the Deuter Act Lite 60 + 10L. 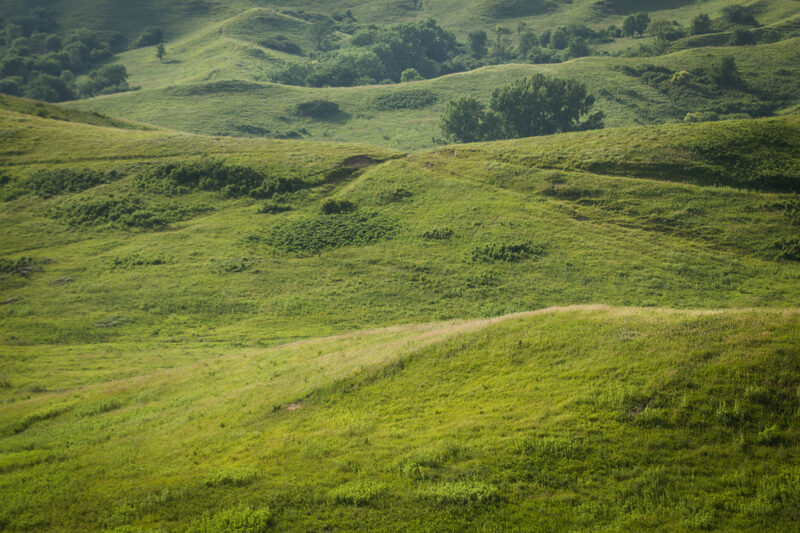 Good shelter isn’t necessary when the weather is great – but when the elements hit (which is everyday in Iowa), you want to have good protection while sleeping. We love our lightweight, easy set-up NEMO Galaxi 2P, 3 season tent. We can’t wait to be able to leave the canopy off and fall asleep watching the stars in the National Parks. 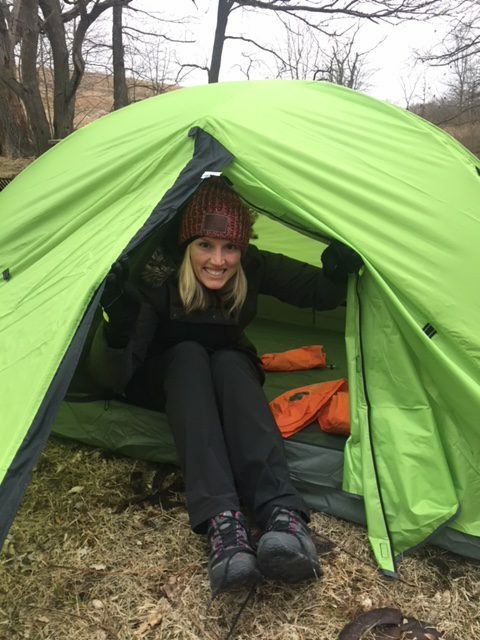 I used my Sierra Designs Women’s Eleanor Plus 700, 30 degree Dri-down sleeping bag. I was surprised by the comfort of the mummy style sleeping bag, especially for a woman’s body shape, this bag is specific to women. My husband has the male version, which has a slightly different shape. 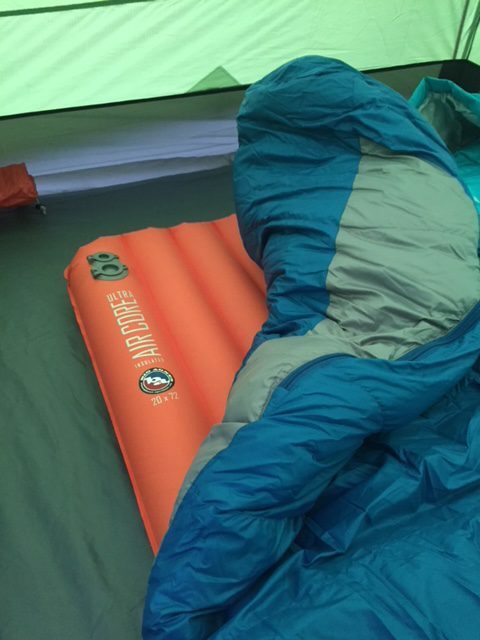 I am a side sleeper and slept in complete comfort on my Big Agnes Ultra Air Core Insulated pad. It was SO comfy and only took 20 breaths to fully inflate. 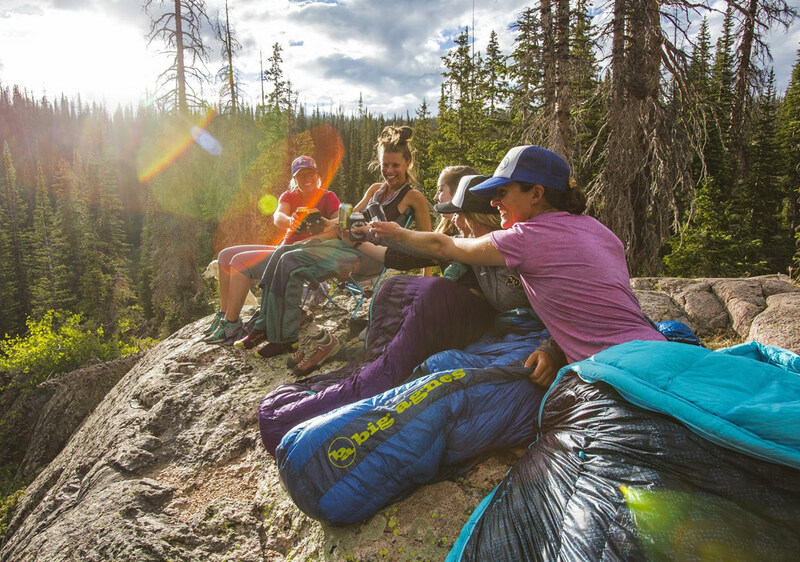 Efficient set-ups are key when you’re ready to wind down after a long day of hiking. 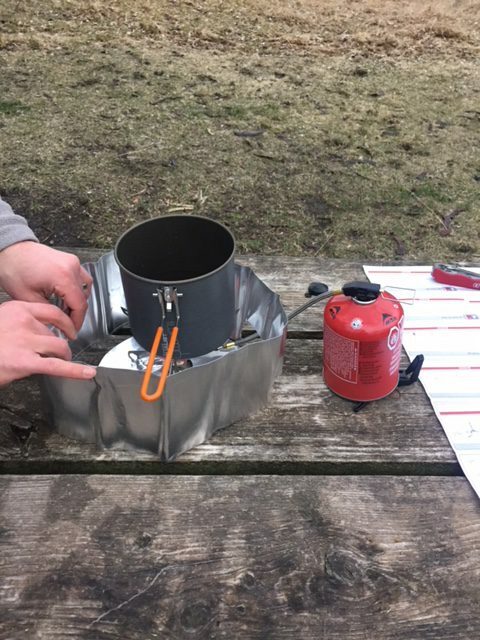 We loved the lightweight easy set-up of the MSR Whisperlite Universal Stove. Our water boiled in less than 5 minutes even in 30 degree weather. Being a dietitian, you can bet proper caloric and nutrient intake is at the top of my packing list. Essential for any length of adventure, it is important to understand your personal calorie and nutrient needs while being active and in different types of weather. I.e. You will need more water and electrolytes when adventuring in warmer conditions. Tip: Don’t forget to include the amount of water needed for cooking along with your daily intake needs. Consult with a dietitian to discuss proper caloric, macro- and micro-nutrient intake for any adventure or endurance event. I feel like I talk about under layers a lot, the key to proper layering is to provide warmth and comfort without feeling bulky. I am a lover of baselayers for cold weather activities. My current love is the Under Armour 4.0 Baselayer. Let’s just say, I was warm and my husband wasn’t, guess who didn’t have a heavyweight baselayer . A comparable baselayer to mine, would be the Smartwool 250 or Patagonia Capilene Thermal Weight baselayer. Remember that is it important to adjust your layering based on the activity level combined with the weather. Be sure to check the weather! Rain gear, winter coat, etc. Last year in California, we had to pack a little of everything, since we would be in the southern California warm air, Sierra Nevadas with lots of snow, plus on the Redwood coast with lots of rain! I was grateful for my winter coat and poncho combo for traversing the Golden Gate Bridge on a cold, rainy and windy day. Moral of the story….be prepared for any type of weather. There are also several products out there that can meet the needs for multiple conditions without adding too much bulk to your pack. When hiking/backpacking a good pair of shoes is extremely important. Sorry to say, but your casual walking shoe or Chuck Taylors are not going to cut it. Find a shoe that fits your foot well, has good traction/tread, some kind of water –resistance and extra toe protection is a welcomed added bonus. 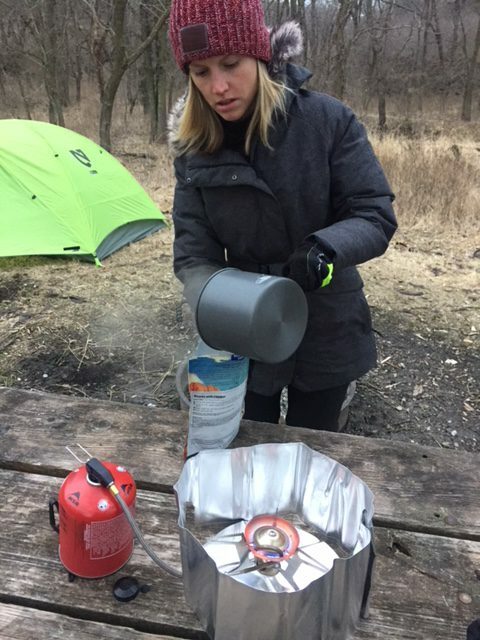 It is important to start any outdoor adventure warm, dry and protected from the wind. Wool socks, mid-weight and heavyweight gloves, and a hat that doubles as a windstopper. My favorite hat is the Arc’teryx Trino Beanie. For extra help keeping my hands and feet warm I have fallen in love with a new product called Uthermic, a lotion that also keeps your extremities warm, trust me, it is amazing. Don’t forget sunscreen when planning to be in the sun for both hot and cold conditions!